I’m very passionate about Hypnotism from my childhood. (World Pranic Healing Foundation, Inc.) Manila, Philippines. YES, I CAN….give a new hope of your life. YES TRUST ME, I CAN…. HELP YOU! Neha Counselling and Psychotherapy P(Ltd) is Incorporated under companies act with CIN: U74999AP2018PTC109962 and Registered office at D.NO: 32-26-114, 2nd floor beside Sri Chaitanya Techno School, Maruthi Nagar, Vijayawada, Krishna Dist, Andhra Pradesh-520002. Here is a short profile of our renowned psychologist Koteswar Rao, which you must have a look. The kind of experience he owes, is simply unbelievably. Koteswar Rao is not only a psychologist at the same time he has mastery in psychotherapy and hypnosis as well. Coming to educational background, our psychologist Koteswar Rao is a graduate in psychology and he has also been awarded with a M.S in counseling and psychotherapy. In addition to the above, he has also another master degree social work. All together he is the man for you who can give you a life without any psychological disorders. 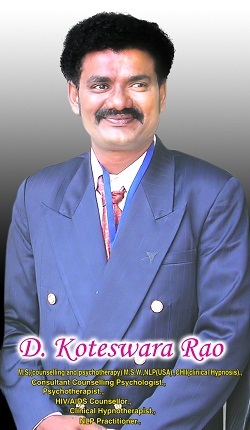 Koteswar Rao has ample experience in the field of psychology. He has studied psychology for 7 years. He has worked for more than a decade in government health sector. All total he has served years as a consultant in government sector. In addition to that he has also experience of private practice, where he has treated numerous patients. The most important aspects of Koteswar Rao is the certification from CHII. He has been certified by the CHII as a hypnotist. 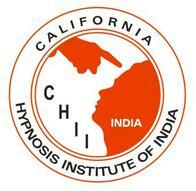 CHII is a renowned international body for psychological treatment. Also World Pranic Healing Foundation, Inc. Manila, Philippines has awarded Koteswar Rao as a certified pranic psychotherapist. Koteswar Rao has developed a passion towards hypnotism since his childhood as a result he has emerged as a repowered hypnotist. All our patients can avail the experience of our renowned psychologist.